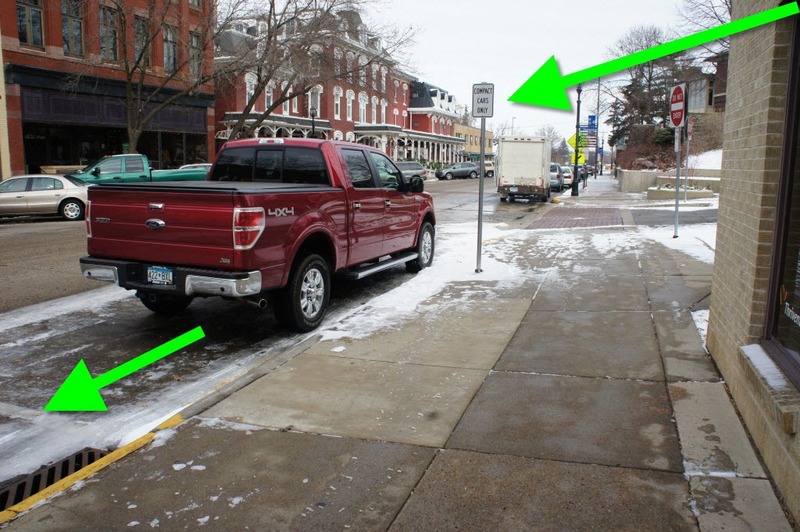 Griff: I saw your recent post about the newly installed compact parking stall signage near the intersection of Division Street and 3rd Street. The new signage was installed after a large amount of citizen requests to resolve a sight issue when going West on 3rd Street onto Division Street. The issue is being able to see oncoming traffic when trying to enter Division Street from 3rd Street. 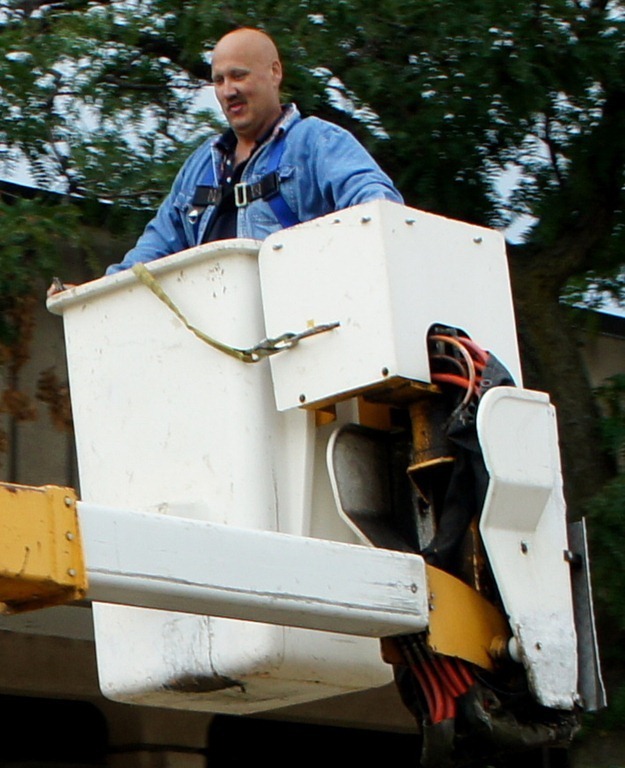 The stall is planned to be shortened when the City of Northfield contracted paint striper is back in town. Ever since, this big red pickup truck has been regularly seen parking there. I took photos of it a week ago in this spot. It was there again yesterday morning. Yes, the parking stall has not yet been downsized so it’s somewhat inviting to those with big vehicles. 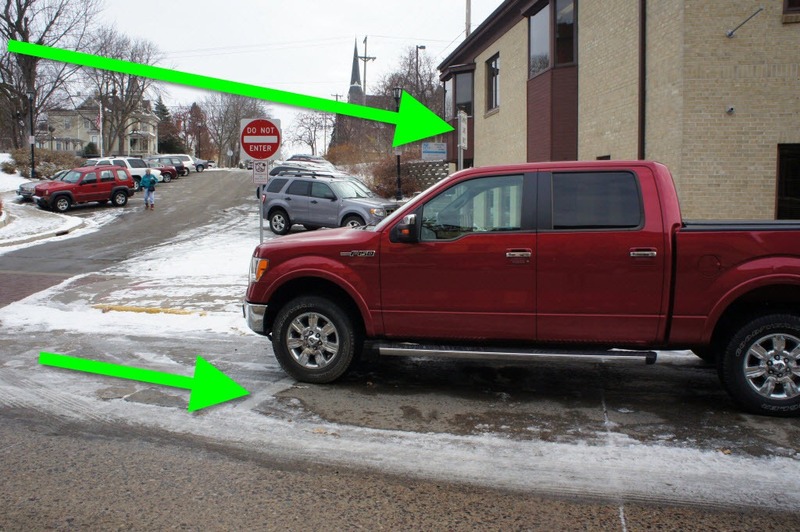 But the owner of this big red pickup truck (MN license plate 422 BXL) doesn’t even bother to stay within the boundaries of the stall, making visibility even more of a problem for vehicles descending the 3rd St. hill and turning onto Division. Gosh, Griff. Don’t you think your comment is just a little sexist?